Not just a new name, but a new engine too: this Spanish-built model used a 55bhp version of the 998cc A-Series engine. Introduced in 1974, it also found its way into the Danish and Greek markets. 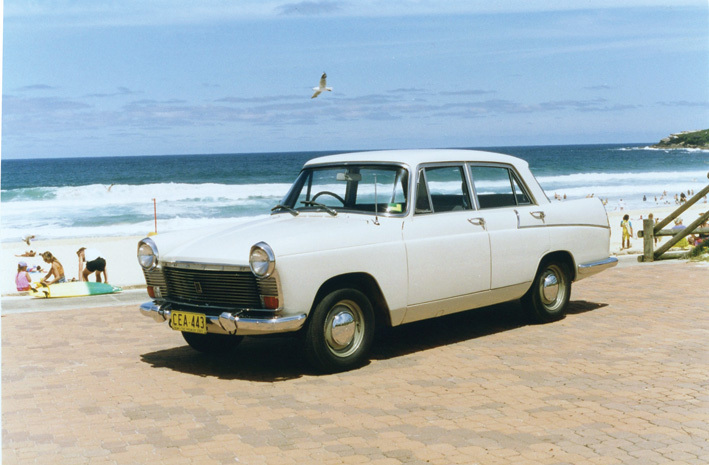 In South Africa, the “11/55” tag was used for an uprated, twin-carb version which was sold alongside the standard Austin 1100. 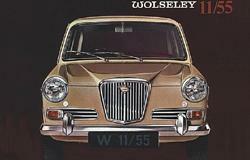 Appropriately enough, there was also a Wolseley 11/55 (see below). Picture kindly supplied by Henk Schuuring. 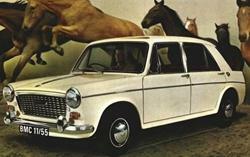 This “Austin 1300 with a boot” was designed by Michelotti in 1970, and was built and sold in South Africa. 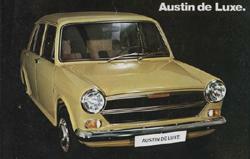 A sister model, the Austin Victoria (see below) was built and sold in Spain. In the Netherlands, the Austin 1100 was known as the Glider, presumably a reference to its Hydrolastic suspension. The car still has a healthy following there, supported by the Glider Owners’ Club. Picture kindly supplied by Alexander Boucke. 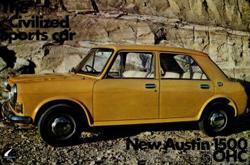 I4 was the name used by Innocenti in Italy for its locally-built version of the Austin 1100. 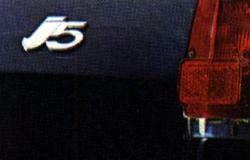 It was later replaced by the I5, a mildly-revised version of the same car. Picture kindly supplied by Henk Shuuring. Sister car to the Austin Apache (see above), the Victoria was built and sold by BLMC’s Spanish arm, Authi. Introduced in 1972, it lasted until the operation folded in 1975. BMC wasted little time in launching in MG 1100 in the US as the Sports Sedan, while in Denmark, both the MG 1100 and its successor, the 1300, were marketed under the same name. 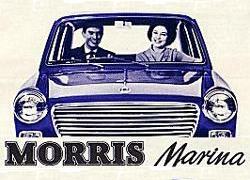 Like the Austin I4/I5 (see above), the Morris IM3 and IM3S were Innocenti’s Italian offerings based on the ADO16. 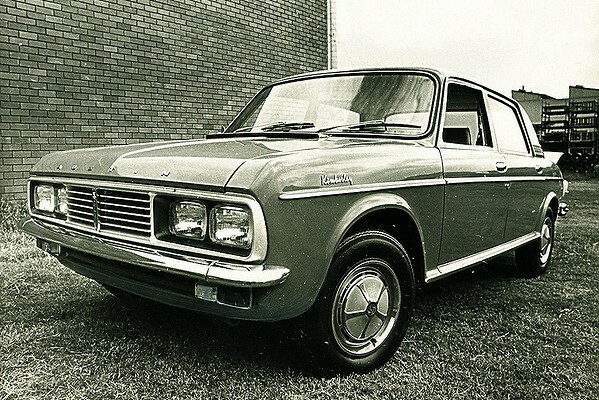 The 1100 was introduced to Denmark in August 1962 as the Morris Marina. The 1300 (MkII) version was launched in 1968 as the Marina GT, but this should not be confused with the later, twin-carb 1300GT, which did not carry the Marina badge! When the Roy Haynes-designed Marina arrived in Denmark in March 1972, the Morris version of the 1100/1300 was dropped, leaving just the Austins to hold the fort. Built exclusively by BMC Australia, the 1500 was devised as an upgraded version of the 1300 on which it was based. 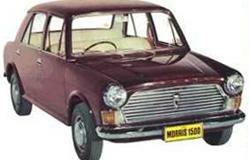 Along with the 1500cc E-Series engine, it gained revised front-end styling, a bonnet bulge and recessed door handles. A development of the Morris 1500 (see above), the Nomad added a hatchback rear-end to the equation. As with the Austin-badged versions (see above), South Africa used the “11/55” tag for their version of the Wolseley 1100. 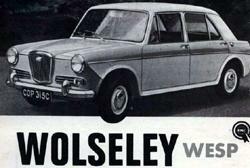 The nomenclature will, of course, be familar to Wolseley enthusiasts, denoting the engine displacement in decilitres followed by power output in bhp. In 1965, the Dutch Wolseley and Riley importer, Dirk van der Mark, noticed that the new Riley Kestrel had borrowed its name from a 1930s model, and he had the inspired idea of applying the same thinking to its Wolseley counterpart, using the name Wesp (Dutch for Wasp). The name was used on the cars, and in press adverts, for around 2½ years, although the contemporary brochures carried no mention of it. Oops, empty brackets. 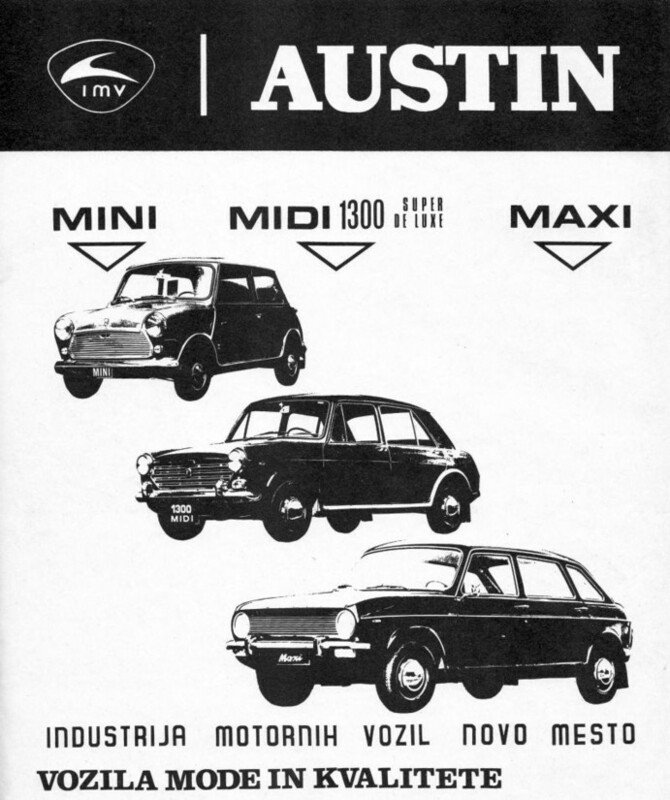 I meant to add something to the effect that calling the model “Midi” appears nothing but logical given that it slotted in between the Mini and the Maxi, especially when these three models made up the entire range that was on offer in Yugoslavia.